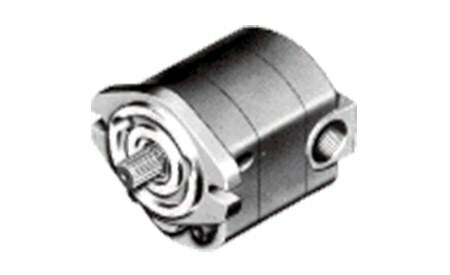 Hydraulic Gear Pumps and Motors 40 Series | Cross Mfg. Left, right or bi-directional rotation for pumps. SAE #12 (3/4 ") o-ring ports on bi-rotational pumps and motors. SAE #16 (1") o-ring inlet with SAE #12 (3/4") 0-ring outlet on single rotation pumps. *Indicates that Single rotation pump with large inlet is required. See Cross FM GPM9 for recommended installations. Premium quality anti-wear type oil with a viscosity between 100 and 200 SSU at operating temperatures is recommended. Do not use synthetic fluids. No liability or warranty is assumed for applications using fluids not meeting recommended specifications.